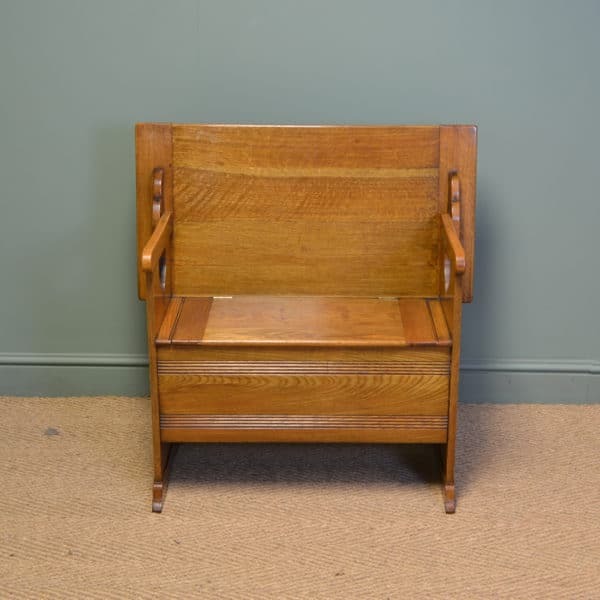 The Antique Settle, is a wooden very early period bench, usually with open arms and a high back. Antique settles are English pieces of furniture and were always constructed of oak or other locally sourced woods. They were mainly built in the Early 17th Century, simple in construction with clout nails or pegs with simple carvings and raised fielded plain panels on the back. They were an adaptation of the joint chair, but made longer so more people could fit on them. They are usually very characterful pieces as they got heavy use, being found in pubs, taverns or working farmhouses, so they can have the most amazing charm about them. 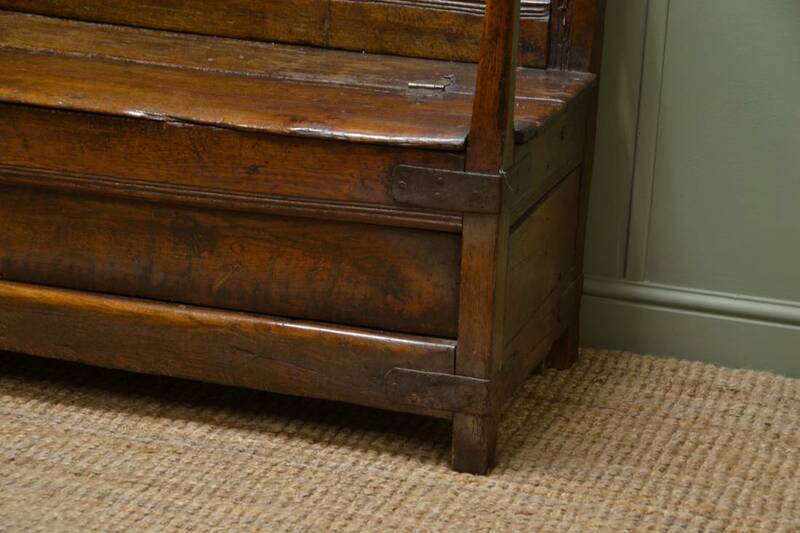 Later Victorian examples, had a lift up seat with internal storage, ideal to place your shoes in, after a hard days work. 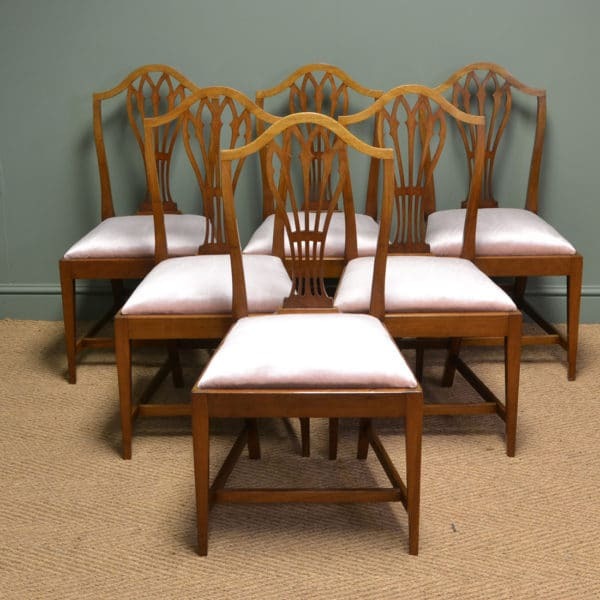 Have a look below at our lovely examples of antique benches and chairs available for sale. Below are a few examples of previously sold antique benches and settles, but if any particular style looks of interest please let us know as we do get many similar designs in stock and we can try to locate something similar. 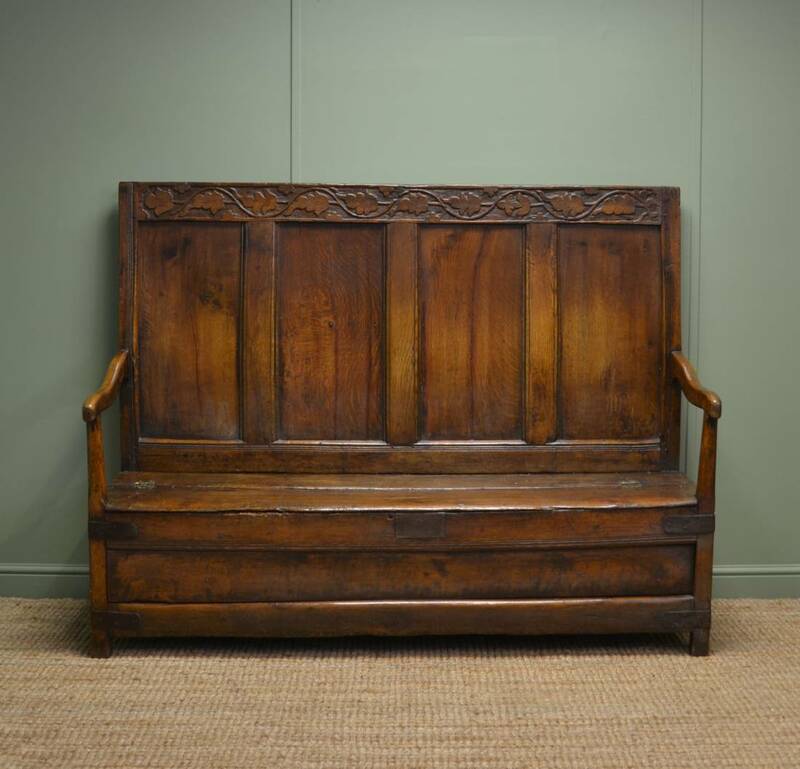 Early 18th Century High Back Antique Oak Settle. 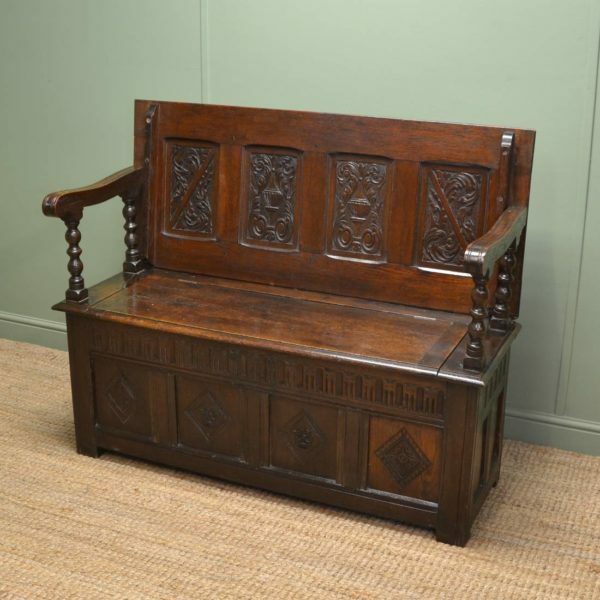 Dating from around 1700 this beautiful antique oak settle is of the high back design. It is full of the charm and character one would expect in a piece over 300 years old, oozing personality! The back has a decoratively carved frieze to the top above four panels with moulded edges. The seat itself lifts to reveal an ever so useful storage area and is flanked by two delightfully shaped arms. The frame is supported by early iron corner brackets while the piece as a whole oozes charm and character from years of use. This antique is definitely one that brings a sense of history to ones’ home. Charming Georgian Country Oak Antique Settle. This Charming Georgian Country Oak Antique Settle circa, 1770 is full of charm and character as you would expect from a piece of this age. 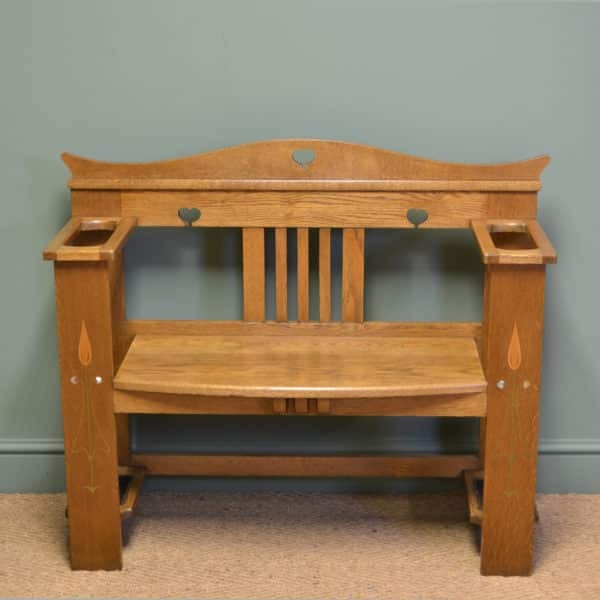 It has four raised fielded panels and nicely shaped arms, it is of pegged construction and stands on elegant cabriole front legs with a cross stretcher for added stability. 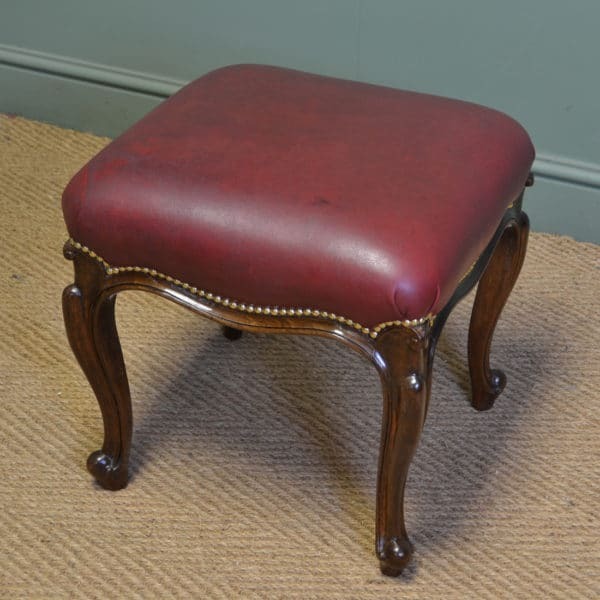 The seat pad is covered in a red fabric and may be easily re upholstered if so desired. This Fabulous Settle would look striking in a hallway and would be the ideal place to slip on those wellington boots. Victorian Oak Antique Bench. 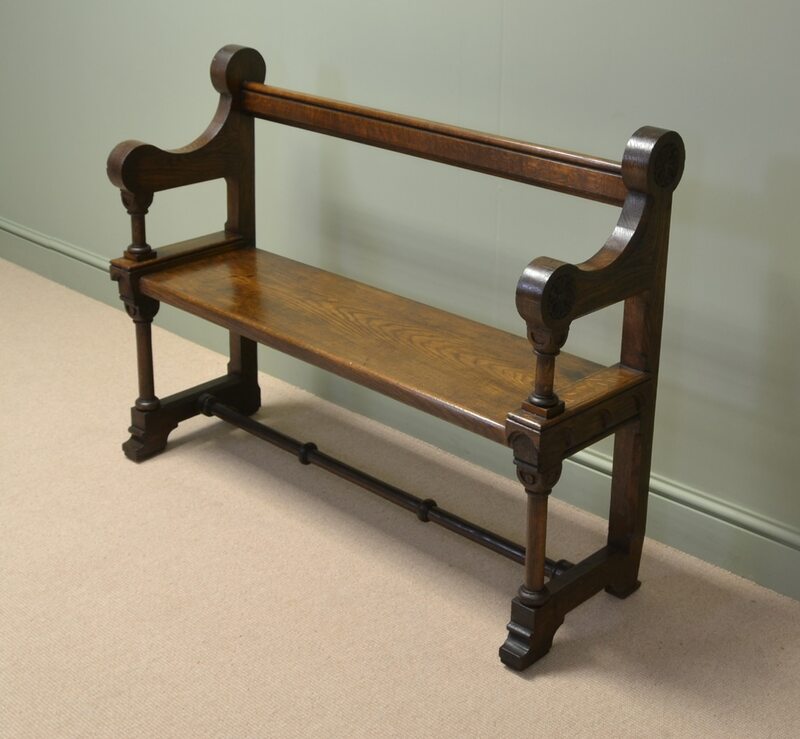 Adapted from a Nineteenth Century Oak Church Pew, This Wonderful Victorian Oak Antique bench dates from around 1890. 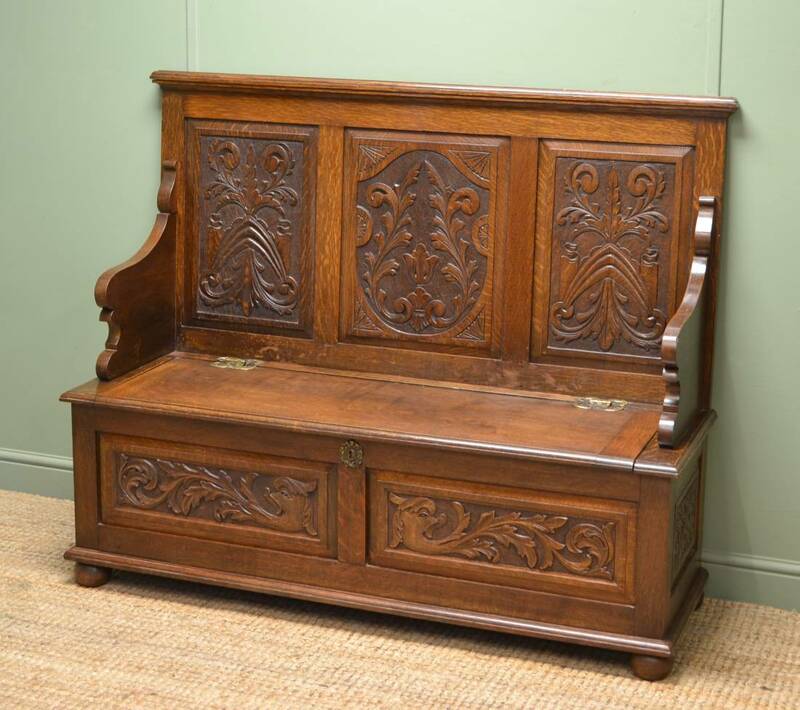 This lovely piece is now a unique smaller size, and would be ideally placed in an entrance hall. 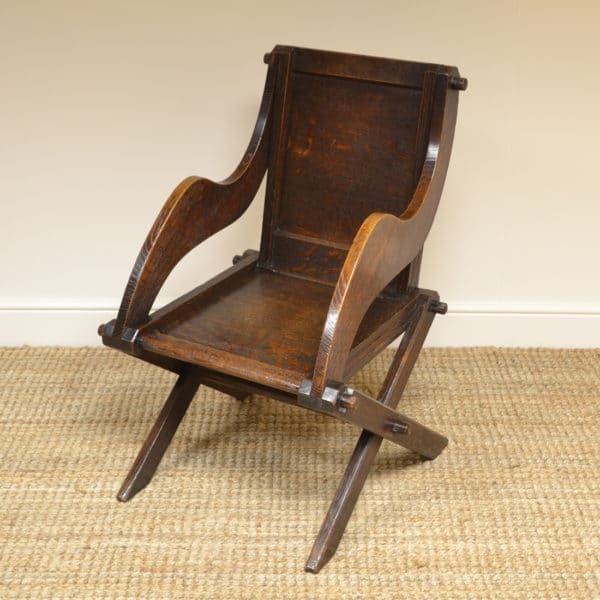 It has a beautifully figured seat with decorative carved shaped arms and turned cross stretcher. Quality Solid Oak Victorian Antique Settle / Bench. 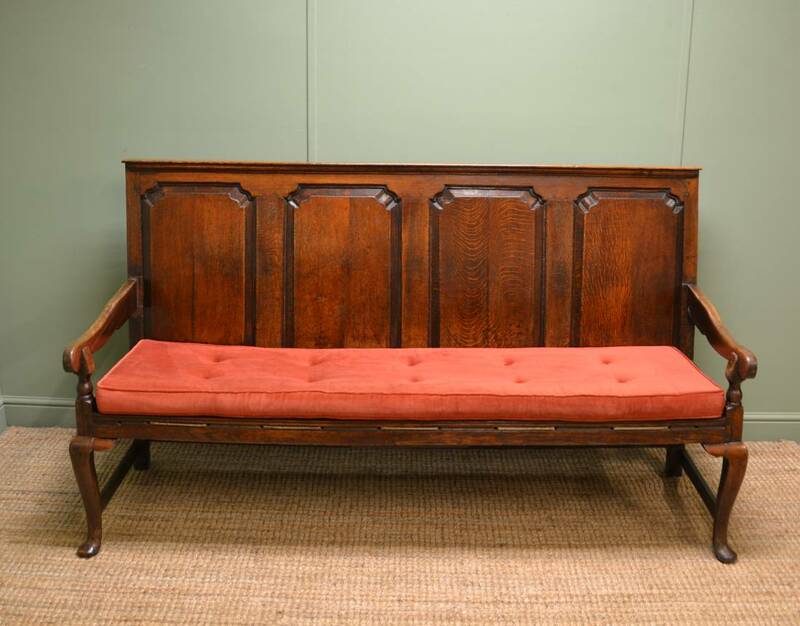 This Quality Solid Oak Victorian Antique Settle / Bench circa, 1900 has a lovely high back with three decorative carved panels. The arms are beautifully shaped and the seat is moulded and lifts up, the interior would be ideal for the storage of shoes. 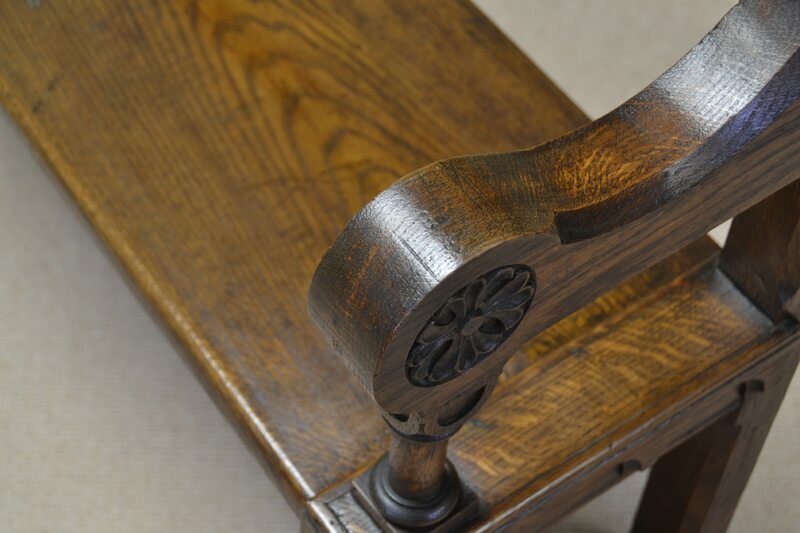 The lower section has beautifully carved panels and stands on turned bun feet.